Women entrepreneurs are on the rise, scaling businesses, providing employment and investing back into the communities they serve, but often lack the resources to help them advance. Today, women are starting and growing their own businesses at record rates; they own an estimated 11.6 million businesses, employ nearly 9 million people and generate more than $1.7 trillion in annual revenues. Bank of America recognizes that women play a vital role in driving economic growth, and we have many partnerships to connect women entrepreneurs to mentoring, capital and other tools that will advance their businesses and make significant contributions to our global economy. The new Bank of America Institute for Women's Entrepreneurship at Cornell offers an unparalleled opportunity for women to earn a certificate in business from this Ivy League university. Through a free online program made possible by Bank of America, students will gain the skills, knowledge and resources necessary to build, manage and scale a successful business. The Institute will offer an innovative online entrepreneurship curriculum, connect women with critical information and resources to overcome persistent challenges, including access to networks and capital, and foster a vibrant network of empowered women entrepreneurs and social innovators. Women entrepreneurs will apply for the online program, which will be offered at no cost. 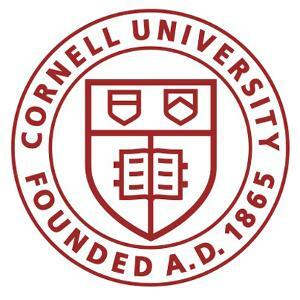 The learning portal features an e-curriculum created by professors from the school of Entrepreneurship at Cornell and in collaboration with existing Bank of America partners covering topics such as creating and funding your venture; product development and marketing; legal building blocks; and leadership, communication and negotiation skills, and more. The e-curriculum is expected to take an average of three months to complete and will also provide students access to customized research, content and events on relevant topics. To determine if the online certificate program in the Bank of America Institute for Women’s Entrepreneurship at Cornell meets your needs, please read through the following guidelines for participants found here. For more information about the program, please contact Program Director, Kirsten Barker at kirsten.barker@cornell.edu. The Tory Burch Foundation Capital Program, powered by Bank of America, aims to increase the number and grow the size of women-owned businesses in the U.S. by connecting women entrepreneurs to affordable loans. Loans are administered through community development financial institutions (CDFIs) that provide credit and financial services to underserved markets and populations. Through the Tory Burch Foundation Capital Program, Bank of America has committed $50 million in loans since the program’s start in 2014. So far, more than 1,400 women entrepreneurs have received affordable loans across 16 states. We believe strong leaders can be drivers of economic opportunities and that women are a force to drive economic, political and social change. This is the reason why we partnered with Vital Voices and developed our Global Ambassadors Program. Vital Voices is the preeminent, non-governmental organization that empowers emerging women leaders. Global Ambassadors invests in the potential of emerging women leaders around the world, by matching them with mentors who are established leaders. Mentorship is critical to accelerating women's leadership paths and to closing the gap that currently exists in many countries. These mentorships help build critical communication, advocacy and business skills; provide essential connections; strengthen existing networks; and help women leaders create measurable impact in their communities. It's all part of our efforts to help create a sustainable future for our customers and communities worldwide.